Absolutely. The public water systems in the Commonwealth are required to operate an on-going program to protect the public water supply from contamination from possible cross connections. The most effective method for the water utility to meet this requirement is to require customers to install a backflow preventer on the main supply line to their property or facility, thus protecting the community water system from any cross connections that may be present inside a customer’s plumbing system. All water users benefit from an active, on-going cross connection control program that includes the installation of backflow preventers. Any pipe, valve, fixture, etc., in a drinking water plumbing system that may allow the drinking water within the system to become contaminated or questionable in quality. 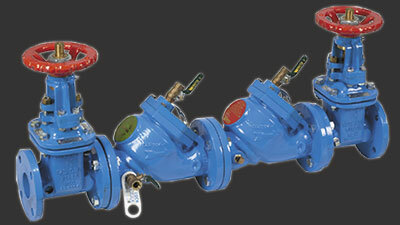 Cross connections can either be eliminated or protected by an air gap or mechanical backflow preventer. If you would like to learn more about backflow preventers, or if you need help to determine proper installation or how to maintain a backflow preventer assembly, please call A.C. Rimmer Inc at 717-795-7533 or contact us.